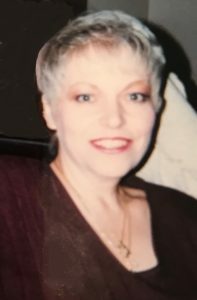 Patricia was born March 25, 1951 and passed away February 6, 2019. She was preceded in death by her parents, Fritz and Mae Rose Fedewa. Surviving are her 4 loving children, Wade (Tabatha) Schrauben, Lesli (Mike) Marowelli, Jami (Darren) Carter, and Bret (Adriane) Schrauben; her 10 grandchildren, Kory, Dalton, Caleb, Addyson, Aiden, Gibson, Danton, Sydnee, Derek, and Jagger; and her siblings, Sue (Ed) Bailey and Mike (Darlene) Fedewa. Our mom was full of kindness and had a heart of gold and a beautiful smile. She loved and she was loved. Per her wish, cremation has taken place. There will be no service. We pray that your hearts and souls will find peace and comfort during this difficult time. What a beautiful picture of your mom. Thinking of you all during this time. To all of Patty’s family, including Mike’s and Sue’s, we send our love and prayers. Hey kids, your mom will always be one of my very best friends I’ve ever had. She gave with all her heart and she so loved you all so much. I’m comforted in the fact that she is at peace and hopefully playing golf with your grandma and grandpa (hopefully with a margarita in her hand)????!! I love you Patty!